Adding capacity to stadiums and areanas is easy, thanks to the new tip-up stadium seats from PM1. We've studied the seating market for some time and decided that NOTHING out there provided the comfort, ease of use, and ease of installation that we wanted for our clients. Stadiums and Arenas are designed for multiple applications, and when not being used for their primary sport can be configured in a variety of ways. 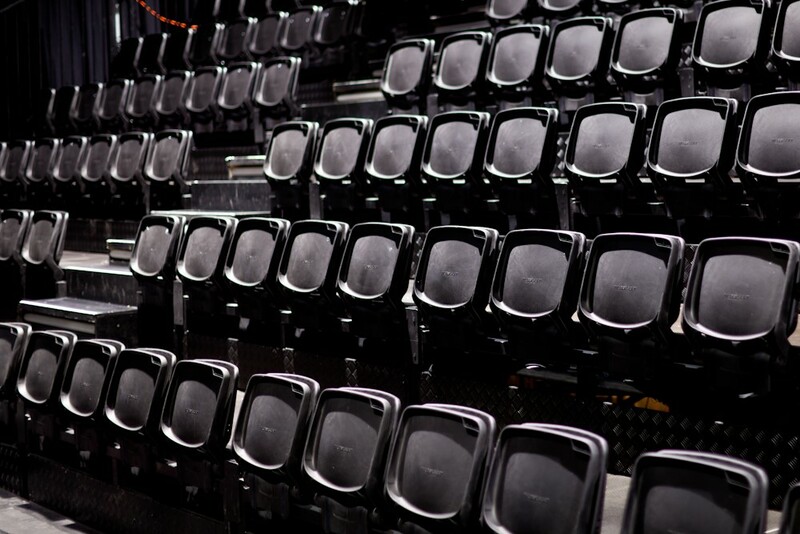 Stadium Infill Seating Risers are created from the ground-up with industry-leading products manufactured and engineered by StageRight Corporation, BilJax Corporation and are customized to the exact requirements of your venue.